Our journey continued with a nice brisk walk as the sun was setting on this almost spring-like day. 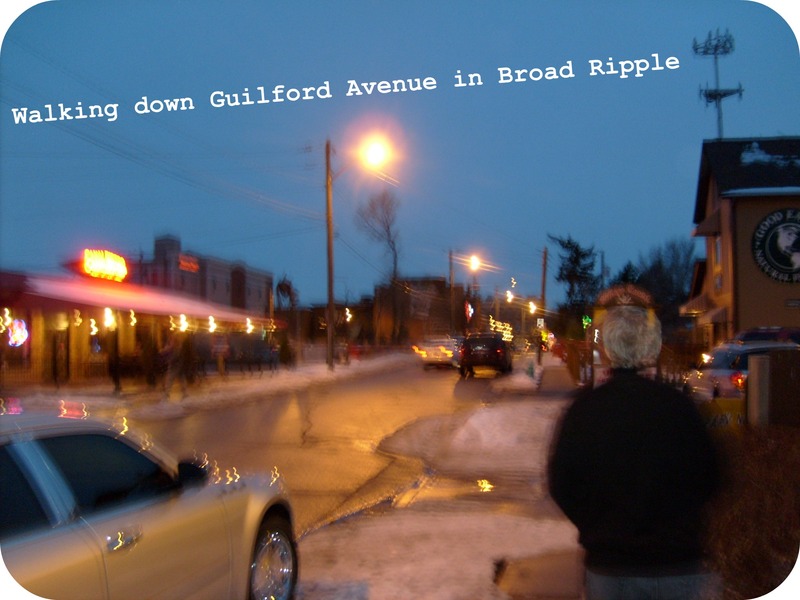 Broad Ripple, the artsy district we especially love to visit in the warmer weather, is hopping at night, even in the winter. 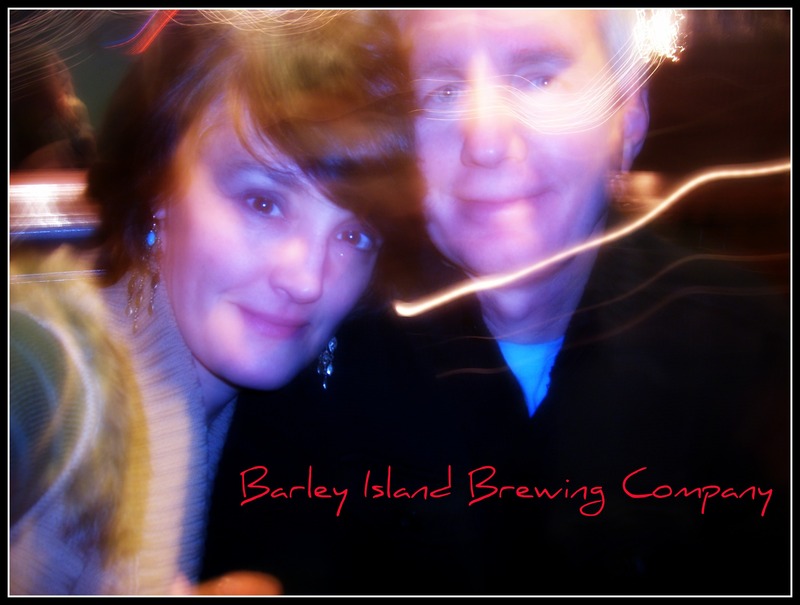 Luckily we arrived at our third and last microbrewery before 6. We sat at the bar while we waited for a table in this small, family-style eatery. Tip: if you want to find out about every beer on the chalkboard menu, sit at the bar and chat with the bartender. We asked to be seated near the fireplace. OK, a little disappointed to realize that orange glow was powered by electric. The host offered to turn it up for us. We decided to split a sandwich and finish the beer we brought from the bar. Mine was a 4oz.er for $1. What a great deal. Rather than order an entire sampler, you can order one small draft at a time. We ordered the grilled Cuban pork sandwich with onion rings. 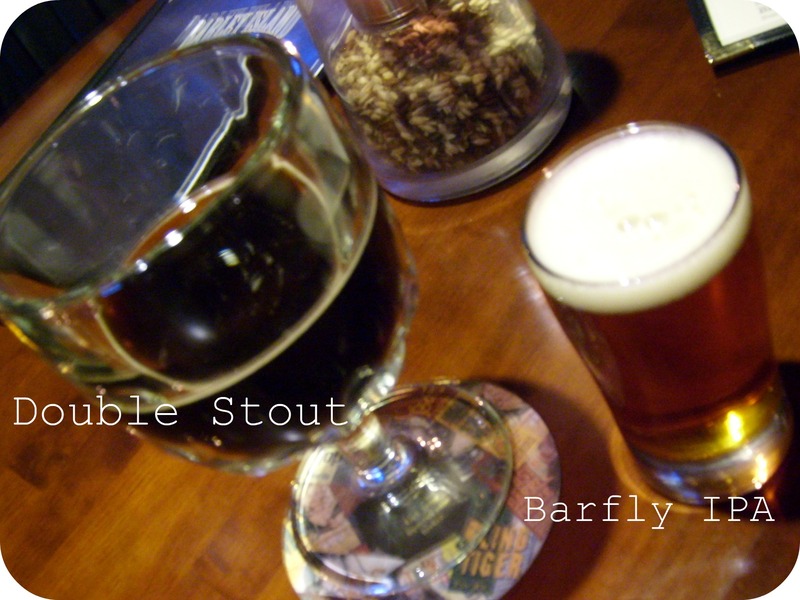 Both were delicious and a nice compliment to the Barfly IPA I was drinking. Dan was still working on a Double Stout-2o11 Winterfest. I had to agree with him that it was so sweet, it was more like dessert. I switched with him, figuring that as dessert goes, this was less calories than most.